Millionaire Shortbread bar Recipe... sounds delicious, but with Sea Salt? Salt? on Caramel and Dark Chocolate? Sounds like something you’d see on one of those food shows where they are trying to pass off something icky as actual food (you can cook Brussels Sprouts any way you want to, they will still be Brussels Sprouts). But, I have to tell you…. it’s an AMAZING combination. The Sea Salt makes the Caramel SING!! Sadly, Millionaire Shortbread with Sea Salt covers all of my vices….. caramel, chocolate and salt, with the addition of a handy cookie delivery system. My mouth is delighted… my tummy is delighted…. and the people who sell me larger Levis are delighted…. Seriously, this is sort of a special occasion cookie, you know, like Christmas, Thanksgiving, Birthdays and Thursdays (maybe Tuesdays too…). It is a little more labor intensive than your average Chocolate Chip Cookie… but I promise you…. it’s worth every morsel. . I used Dove Chocolates for the Dark Chocolate Ganache layer… I tested with Chocolate Chips, and it was fine… I used Dove Chocolate, and it was AMAZING. 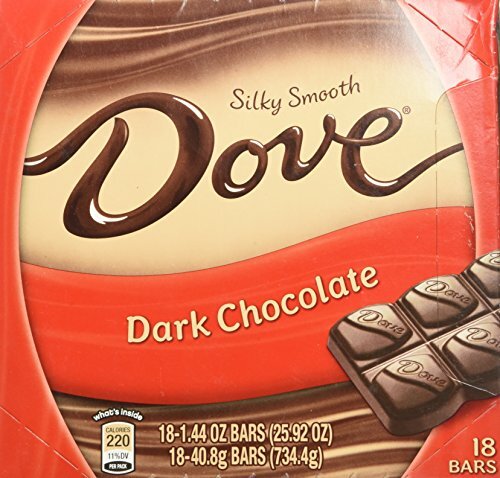 If you don’t have Dove… find another good chocolate brand. Don’t use Table Salt… you have to use Sea Salt. You can buy fancy Sea Salts from the gourmet stores… or you can get the sea salt grinder at your local grocery store. Bake up a batch…invite some friends over to share… or give some away as a Holiday Food Gift From Your Kitchen. Millionaire Shortbread is a bit more involved to make than your average drop cookie, but it's worth the effort. Feel free to leave off the Sea Salt, but know that it adds a punch of flavor! Line an 8 by 8 inch baking pan with a sheet of aluminum foil.... let the edges hang over the sides... press the foil into the corners... then give it a spritz with that spray stuff. Put the Flour and Powdered Sugar in the bowl of a Food Processor. Pulse it a few times to mix. Cut the butter into small chunks... feed into the processor... run for a few seconds, then pulse until the dough starts to come together. Press the "wet sand" into the prepared pan, and stick into the hot oven for 18 minutes. When the buzzer goes off... pull it out... set it aside, and get started on the Caramel layer. Get a medium saucepan out of the cabinet... put it on the stove. Melt them all together over medium heat, while stirring with a wooden spoon. Bring to a boil. Occasionally wipe the sides of the pan with a pastry brush dipped in ice water... this keeps the sugar crystals from forming. Reduce heat a bit... still boiling though, keep stirring. Done... now pour the Caramel over the Shortbread layer. Let the Caramel Layer set for 30 minutes. Pour the melted chocolate over the set caramel... spread it evenly with a spatula. Sprinkle with a bit of Sea Salt.... not too much... but you do want to taste it. When the chocolate ganache is firm... Lift the Millionaire Shortbread with Sea Salt out of the baking pan using the foil to help you. Set it on a cutting board. 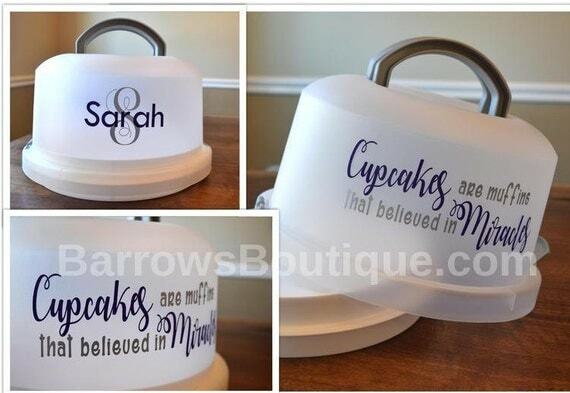 I like to serve the pieces in cupcake liners. Regular or Mini... depending on how large or small I cut the pieces. 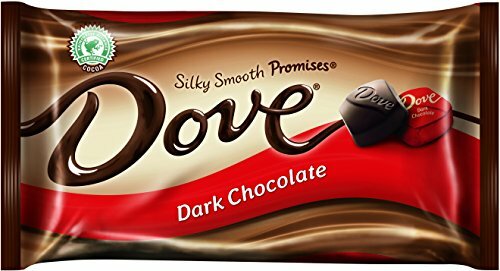 Dove Dark Chocolate Promises, 9.5-Ounce Packages (Pack of 4) Dove Dark Chocolate Bars – 18 ct.
Push it into the corners too…. I clean the sides of the bowl with a brush dipped in ice water..
How positively sinful! It looks delicious!